This Father’s Day Reform Social & Grill have a fantastic deal available all day Sunday. 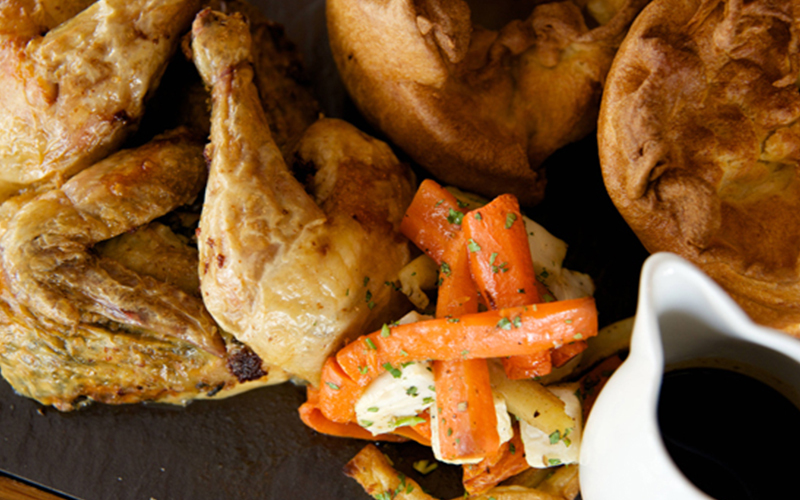 For just AED 100 dads can tuck into the Great British Roast menu choosing from chick, beef and other meats with all of the juicy trimmings. Reform’s famous Full English breakfast will also be available all day long. Fan of the football? The popular British eatery will be showing all of the games too, in their World Cup tent. For the first 50 dads to arrive at the restaurant, they’ll also receive a free house beverage. Details: to book call +971 4454 2638 or email reservations@reformsocialgrill.ae for more information visit Reform. Surprise the special man in your life with tickets to an internationally-acclaimed show this Father’s Day. This July The Definitive Rat Pack will be showing at Dubai Opera, and if you book now you can receive a 30% discount off all tickets. The show has been seen by more than 10 million people worldwide, with successful performances in London’s West End, the US, Europe and Canada. To take advantage of the deal, simply use the code “FATHPACK18” when checking out. Details: for more information, visit Dubai Opera. Popular UAE e-commerce store has some fun Father’s Day presents this June. They’ve got everything from mugs to slogan t-shirts. We love the “not your average dad” mug and the “maker of cool kids” t-shirt. Details: for more information visit Little Wren.